The Ho Chi Minh City football fans will have a chance to meet with head coach Park Hang- seo and the Vietnamese U23 footballers at Thong Nhat Sport Stadium in the evening of February 4. The city planned to organize the meeting with the football heroes after they excellently won the silver medal and Fair-play Award at the AFC U23 Championship in China. 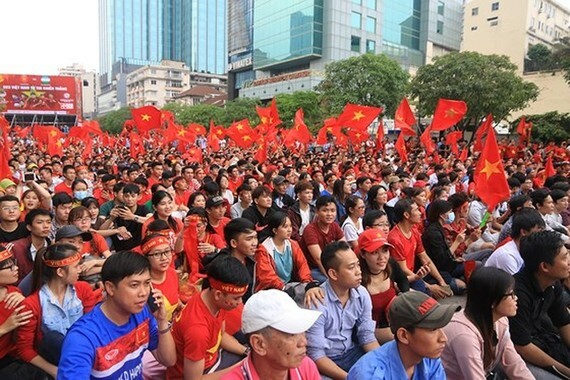 Millions of red-clad Vietnamese fans were proud of the young footballer generation who really are champions in heart of Vietnamese fans as the first Southeast Asian country entered the final of the AFC U23 championship.